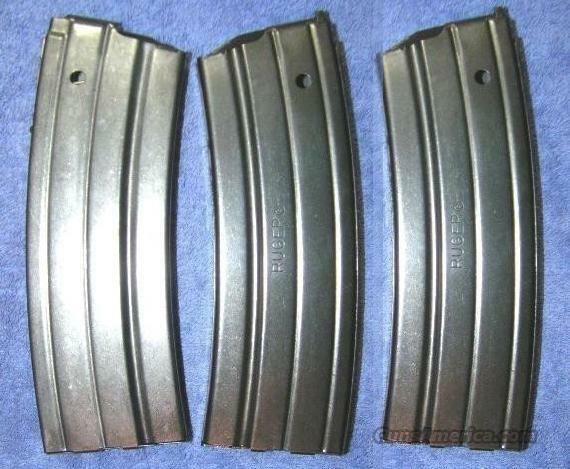 Description: Three new 30 round mags. .223 caliber, made by Ruger. Marked "RUGER" on side. The floorplate is marked with Ruger name and Logo. More for sale. I accept all credit cards, also cash, personal checks, company checks, money orders, cashier's checks, and bank checks. No credit card fee. Price is for 3 mags. New in box. Florida residents add 7%. Free Shipping. I combine shipping. UPC: 736676900350. Ruger ID MAG-30. Rich.